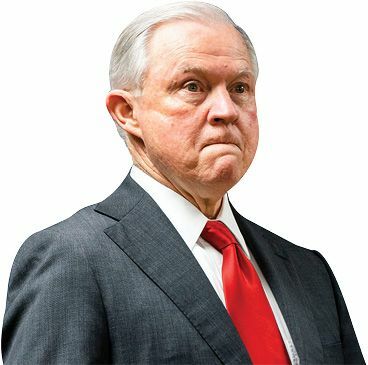 President Trump forced out Attorney General Jeff Sessions this week, raising alarm over the fate of special counsel Robert Mueller’s probe into Russian election interference. Sessions’ chief of staff, Matthew Whitaker, an outspoken critic of the Mueller investigation, will take over as acting attorney general. One month before being hired by Sessions, Whitaker wrote in CNN.com that Mueller was “going too far” by investigating Trump’s business dealings. Whitaker also speculated on cable news last year that if Trump fired Sessions, a temporary attorney general could reduce the special counsel’s budget “so low that his investigation grinds to almost a halt.” Trump pilloried Sessions for recusing himself from the investigation, calling Sessions “beleaguered,” “VERY weak,” and “DISGRACEFUL.” Last summer, Sessions offered to resign after being accused of “disloyalty.” Despite their feud, Sessions has been effective in carrying out Trump’s agenda, particularly his border immigration crackdown. Motel 6 agreed this week to pay $8.9 million to settle a lawsuit accusing hotel employees of providing Immigration and Customs Enforcement agents with the private information of Latino guests. The hotel agreed to not share guests’ personal information without a warrant, subpoena, or threat of a “significant crime.” Last year, the Phoenix New Times reported that ICE made at least 20 arrests at Motel 6 locations on tips from employees. 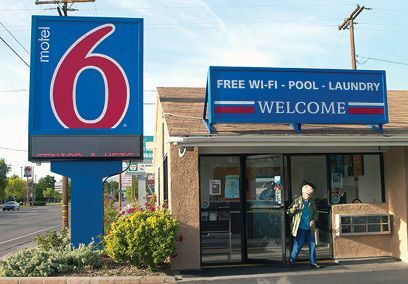 According to the suit brought by eight guests, one plaintiff was detained for over a month after being arrested outside a Motel 6. In the settlement, Motel 6 will pay up to $5.6 million to guests placed in immigration removal proceedings, up to $1 million for those interrogated, and up to $1 million for those whose information was shared, as well as plaintiffs’ legal fees. A highly anticipated trial began this week concerning the Trump administration’s planned citizenship question on the 2020 census. The plaintiffs, a collection of states and cities, along with immigration advocacy groups, argue the question is designed to depress census responses among immigrants. Cities including New York and Philadelphia argue it would cost them congressional seats and billions in federal funding. An expert for the plaintiffs cited census data predicting 5 to 12 percent of noncitizen households would not participate if asked about citizenship. The Trump administration had said that the Justice Department suggested the change to enforce the Voting Rights Act. But on the eve of trial, plaintiffs released the deposition of a former assistant attorney general saying that Commerce Secretary Wilbur Ross, who is close to Trump, insisted that the question be added. A federal judge this week issued a restraining order shutting down a network of companies accused of selling sham health insurance to “tens of thousands” of people, collecting more than $100 million in premiums. The Federal Trade Commission called the South Florida–based operation “a classic bait-and-switch scheme.” Simple Health Plans and five related companies allegedly advertised comprehensive plans with endorsements from Presidents Obama and Trump—one website was “TrumpCareQuotes.com”—when in fact the plans covered only $50 toward a maximum three physician visits per year. In one Simple Health ad, a cigar-smoking man tosses a wad of cash and says, “You will have money thrown at you” during open enrollment. The FTC said many consumers learned they’d been scammed only after they received unexpected medical bills. Two sisters from Saudi Arabia were found drowned in the Hudson River last week with their bodies bound together by duct tape, sparking worldwide speculation about their cause of death. Rotana Farea, 23, and Tala Farea, 16, had immigrated to Fairfax, Va., with family in 2015. They had recently spent time in a “shelter-like” facility where they went to escape domestic abuse. 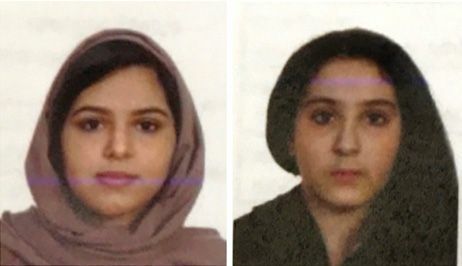 Sources told detectives that the sisters said they would rather “commit suicide than return to Saudi Arabia.” Police said the girls’ mother received a call from the Saudi Embassy notifying her that her daughters had sought asylum in the U.S. Saudi officials deny reports that they subsequently ordered the family to leave the U.S. Investigators believe the sisters spent a month in New York City, maxing out credit cards at hotels and restaurants, and were last seen praying in Manhattan’s Riverside Park. 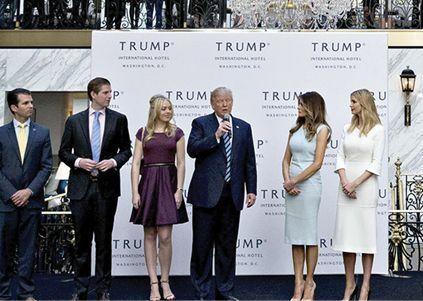 A federal judge last week refused to delay a lawsuit accusing President Trump of violating the Constitution by doing business with foreign interests through his Washington, D.C., hotel. The case, brought by the Democratic attorneys general of Washington and Maryland, claims that foreign leaders try to curry favor with the president by staying at the Trump International Hotel, just blocks from the White House. Judge Peter Messitte ruled previously that these transactions might violate the Constitution’s emoluments clause. The plaintiffs can now proceed with discovery, reviewing documents and possibly demanding Trump turn over tax returns. The Justice Department said the lawsuit is too time-consuming for Trump, which Messitte wryly rebuffed, citing tweets from Trump daring people such as former CIA Director John Brennan to sue him. Trump’s attorneys want to delay the case until he is out of office, and plan to appeal the ruling.